Mystery pack could include gift cards, microfiber, and more! 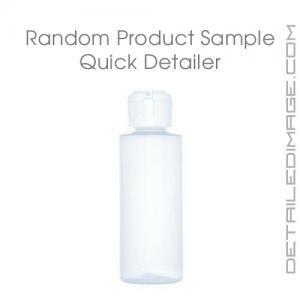 For only 99 cents you can choose a random 2 ounce sample from 8x different detailing categories! Simply choose the type of product you are interested in trying and add that item to your cart before you finalize your purchase. After your order is placed, our warehouse team will randomly select a sample for you to try from the category you chose. Below you will find each category you can choose from, along with links to the pages of the possible products that you could receive. Please however note that the samples we have on hand change and not all items listed in each category are available as samples. If a specific category of sample is out of stock, or we do not have enough of one sample ordered, our warehouse team will randomly select a sample from a category that is in stock. Degreaser - Items from our Degreaser page. Shampoo - Items from our Shampoo page. Wheel & Tire - Items from our Wheel & Tire page. Protection - Items from our Waxs, Sealants and Coatings page. 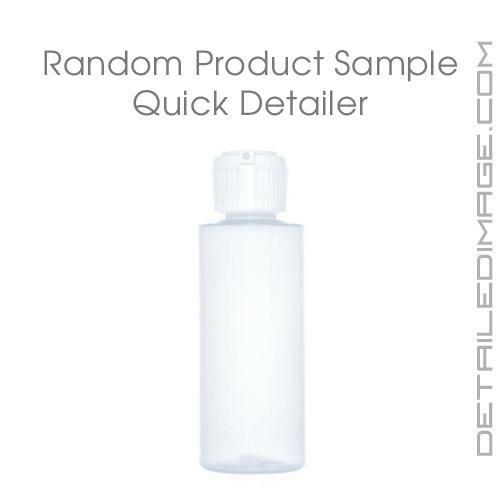 Quick Detailer - Items from our Quick Detailer page. Interior Care - Items from our Interior Care, Glass, and Leather pages. Trim - Items from our Exterior Trim page. Microfiber Care - Items from our Microfiber Care page (excludes towels). Mystery Pack - May include any of the samples above, microfiber towels, stickers, gift cards, limited quantity items, and more! It's a mystery! Want a Free Sample? - Use one coupon code of the category of your choosing below! No minimum spend. No expiration. Please note, if a specific category of sample is out of stock, our warehouse team will randomly select a sample from a category that is in stock. Great Surprise! Worth the couple bucks! I'll be getting more. Love that I get to try new products w/o spending tons of cash. These samples are a lot of fun. I'll get one or two with every order - you can't go wrong.